Garmi is one of the cities of Ardabil province with an area of about 1,725 km2 and its history is interspersed with the Mughan region. The discovery of the carvings on ancient gems, as well as the graves of different times reflect the ancient history of the city. The yearly precipitation is 300 mm and a temperature of (-10 to 36 Celsius) allows farmers to reach good yields in growing cereals. Germi is relatively new by Iranian standards; established in the year 900 of the Islamic calendar (1494 A.D.) when Shah Ismail allowed to 5 Shiia families to migrate to this region. There were some other places and cities in both Azerbaijans that are called Germi. The most historical place in this county is Barzand Castle that was the castle of Afshin who battled with Babak Khorramdin in an earlier century of Islamic history. People of this county are Shi’a Muslim and speak the Azeri language. The largest river of the county is Dareroud; it issues from southern and eastern foot of Sabalan and joins to Aras river on the northern border of Iran. This river is the largest internal river of the Ardabil Province. 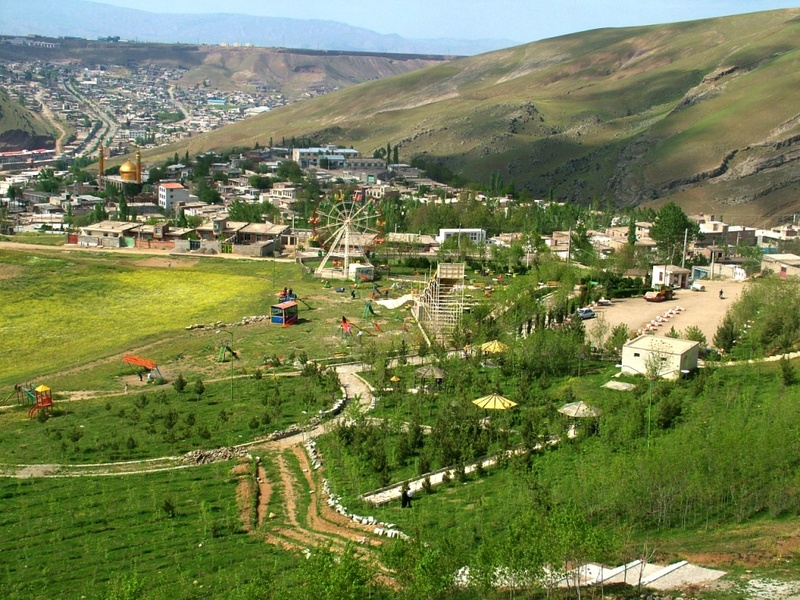 Germi is located about 50 km from the Caspian Sea, 108 km from the city of Ardabil. It has an average altitude of 1050 m and total area of 1752 km2. Neighboring on the Caspian Sea and the Republic of Azerbaijan, this city is of great political and economical significance. Germi is the center of Germi County. Its population is estimated to be around 30,000, the dominant majority of whom are ethnic Azeris. Notable for its shawl and carpet and short-napped coarse carpet” trade tradition. The ancient valuable Germi vestige and things are be hold in Kashan museum. Germi is also known as the seat of a World Heritage Site: a first piece of cloth woven in Iran and discovered in Salala Village were to be kept in Iran national museum. Germi is an ancient city in the Ardabil province of Iran, thought to have been founded in the Parthian period. Germi is located in an area known for temperate weather. It is an important agricultural centre, the county seat of Germi County, and the capital of Mughan. Germi Mughan, like most parts of Iran, has a semi-arid climate with fairly hot summers and relatively cold winters. The climate of Germi is moderate and mild to most of the districts and cities of Ardebil province. The climate of this city, especially in the east, is somewhat influenced by the climate of the Caspian region and its collapse, and most of its settlements in the valleys are exposed by the rapid winds that are in some of the provinces such as Ardebil and Meshkinshahr.